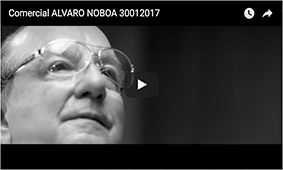 The businessman and former presidential candidate, Alvaro Noboa, spoke with the Ecuadorian press from Miami, United States, according to a note posted by Expreso newspaper. 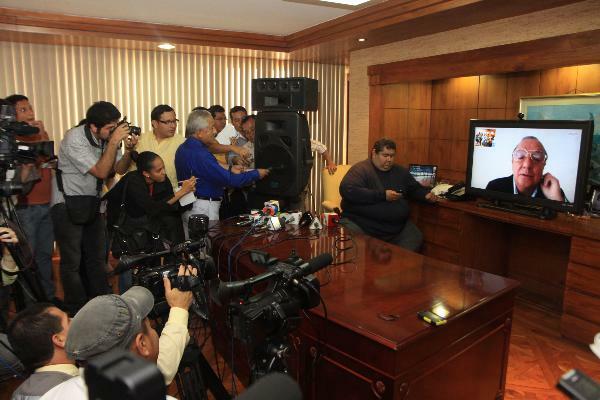 The wews says that Noboa started his Skype press conference showing a notarized document in Guayaquil that was the judgment issued by judge Yvonne Hernández, who lifted the ban on leaving the country that was issued against him, and documents with the seal of the migration service, that support his departure from the country as legal. The businessman took the opportunity to ask for legal certainty, because he said his is the only process that is vented publicly, although he ruled out meeting with United States authorities to discuss his problem with the internal revenue service (SRI, for its Spanish acronym), entity that tried to charge him around $ 100 million for a so-called glosa in exports of Bananera Noboa. This legal uncertainty is going to be the cause for the lack of foreign investment in Ecuador, he said. “The SRI has prevented us to litigate in Ecuador. When will we pay? When a judge orders us we will pay, not a public employee, because the highest authority is the judge and it is our right to turn to a judge when we disagree with a tax issue; the same law that all Ecuadorians have”, he said. He also stated that he will continue to pay his taxes, as he does every year. According to the note from Diario Expreso, he ruled out his exit from the country obeys to a kind of self-imposed exile, as asked by a journalist, referring to the attitude of his father, Luis Noboa, who settled in New York to avoid the pressures of the military Junta that ruled the country in 1972. Finally, before saying goodbye, he said that with the displayed documents he will return to Ecuador and will travel as often as he wants and asked journalists to transmit his greeting from abroad fto all Ecuadorians. I love you all”, he concluded. El Expreso: Noboa speaks from Miami and calls for legal certainty.